Love decorating for the holidays? Learn how to make a patriotic door wreath for the 4th of July. This cute patriotic pinwheel wreath is so simple to make and can be put together in about an hour. I have always loved decorating my home for all the holidays, including the minor ones like the 4th of July. I recently purchased a pinwheel die for my Sizzix die cut machine, so I thought I would put it to good use and make a fun patriotic pinwheel wreath for my front door. If you don’t have a die cut machine, don’t worry! You can make this DIY 4th of July wreath without the die. 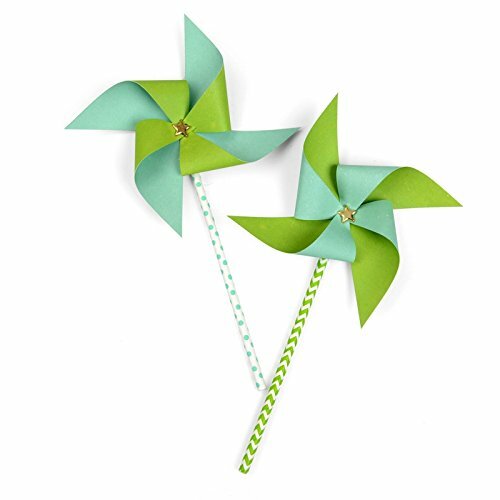 You just have to use a paper trimmer to cut the squares for the pinwheels. I will explain how to do that further down in the tutorial. You want to start by covering your wreath form with the burlap ribbon. I hot glued the end of the ribbon to the back of the wreath and started wrapping. Periodically, I would add a bit of hot glue to the back, just to make sure the burlap didn’t shift as I was wrapping it. After you have completely covered the wreath form, cut the burlap and hot glue the edge to the back. It doesn’t really matter if you wrap the burlap evenly, it will be covered by the pinwheels. Cut out 8 squares with the Sizzix pinwheel die, using an assortment of red, white, and blue patterned paper. It looks best if you have paper with a design on both sides. The pinwheels are so easy to assemble. Just take your brad and stick it through the corner holes one at a time, gently pulling the flap of paper to the center. Then stick the brad through the center of the back of the pinwheel and close in the back. Repeat the process to form the remaining pinwheels. Glue the pinwheels to the front of your burlap-covered wreath with hot glue, arranging evenly around the circle. I ended up using 8 pinwheels on my 12 inch wreath form. If you want the pinwheels closer together or overlapping, you might want to make 2-4 additional pinwheels for your 4th of July wreath. Next create your stars for the center banner. You will need 2 red, 2 white, and 4 blue stars. I used a star stamp set I already had to stamp the stars. Alternatively, you can cut out the stars first and then use a sponge dauber and just lightly sponge some ink around the edge of the stars. I used the same color ink to stamp on the cardstock. This will add some dimension around the edge of your stars when you cut them out. I used my magnetic platform and my die cut machine to cut out the stars using a Star die set. 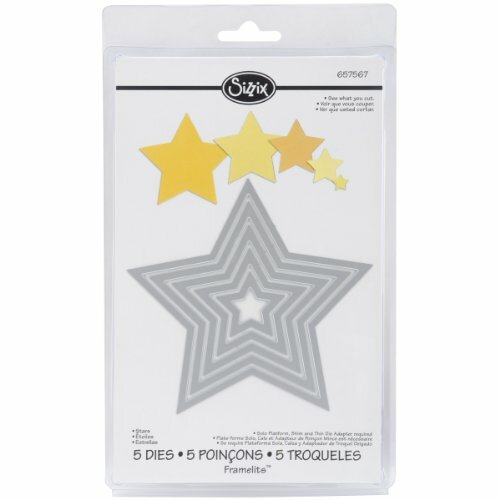 If you don’t have a die cut machine, you can cut the stars out with a paper punch or by hand. Next I cut out letters spelling out “4th of July” using silver glimmer paper. You can use any alphabet dies or alphabet punches that you already own as long as the letters are smaller than an inch tall. If you don’t have any way to cut out letters, feel free to use glittery letter stickers. Next you will want to adhere your letters to the front of the cut out stars. 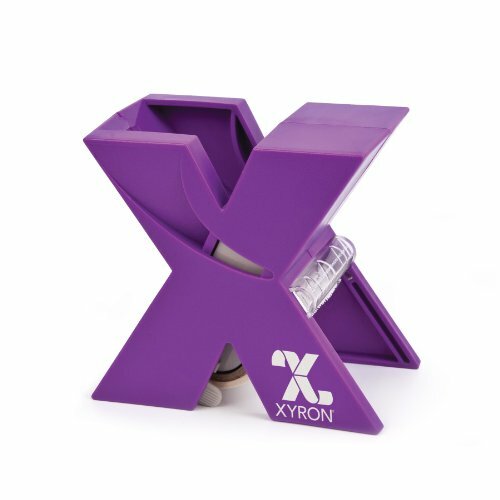 You can use any adhesive you like, but I prefer to use the Xyron Create a Sticker Maker. It turns any small pieces (under 1.5″) into a sticker. There’s no mess and it’s easy to use. Cut 8 – 4 inch lengths of brown baker’s twine. Tie the baker’s twine into bows around the tops of your mini paper clips. Cut 2- 30 inch lengths of striped baker’s twine. I used white and brown, but white and black, or even plain white would work. Double over the baker’s twine and then string 4 paper clips onto each doubled-over piece of twine. Use the mini paper clips to hang the stars to spell out “4th of July”. The letters for “4th” and “of” will be on one strand and “July” will be on the other. Turn your wreath over and glue a 6″ length of ribbon (folded in half) to the top of the wreath to form a hanger. This is a great place to use some of those ribbon scraps you don’t want to throw out. I recommend ribbon no more than 1″ wide. Next, flip the wreath over and hot glue the 2 strands of baker’s twine to the back, referring to the picture for placement. You might want to play around with spacing of the 2 strands before you glue it down to make sure the letters will be visible on the front side. Turn your wreath over and play with the spacing of the stars. When it is arranged how you like it, use a small dab of hot glue to hold the stars to the baker’s twine. That’s all there is to this DIY 4th of July wreath. I told you it was quick and easy! I was able to make a patriotic door wreath for the 4th of July in less than an hour! I love how it turned out. My new wreath for the 4th of July is now hanging above my mantle. I just love how cute it is! For even more patriotic craft ideas like this one, be sure to check out my 4th of July Pinterest board. If you use this tutorial to make a patriotic door wreath for the 4th of July, you will have to come back here and let me know how it turned out. So tell me… Do you decorate for the 4th of July? Have you made any patriotic crafts this year?